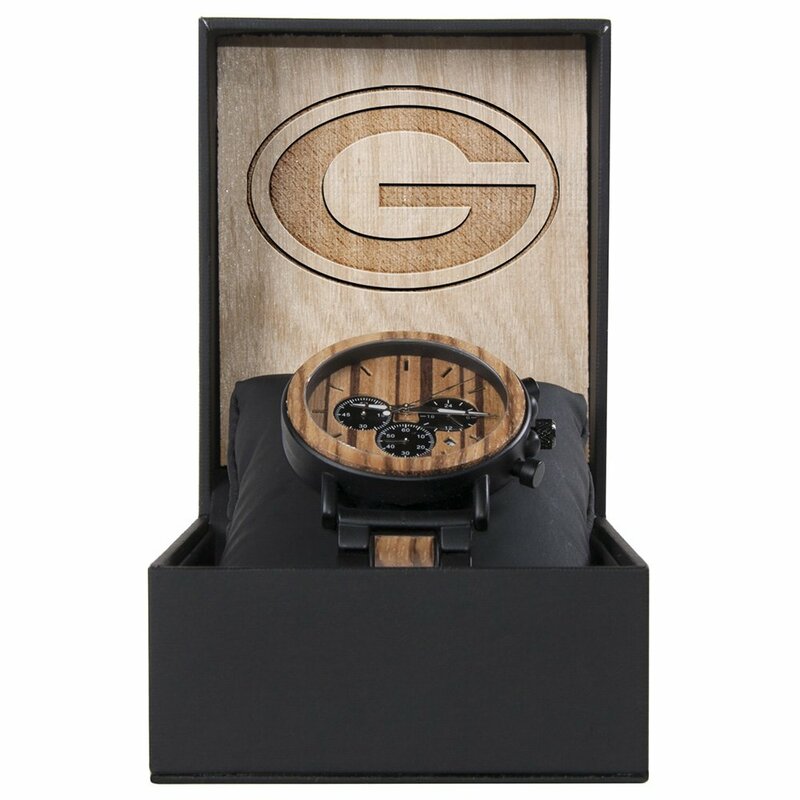 Our unique Green Bay Packers Metal and Wood Watch is made with natural one of a kind mahogany wood, equipped with a comfortable and classic metal band. 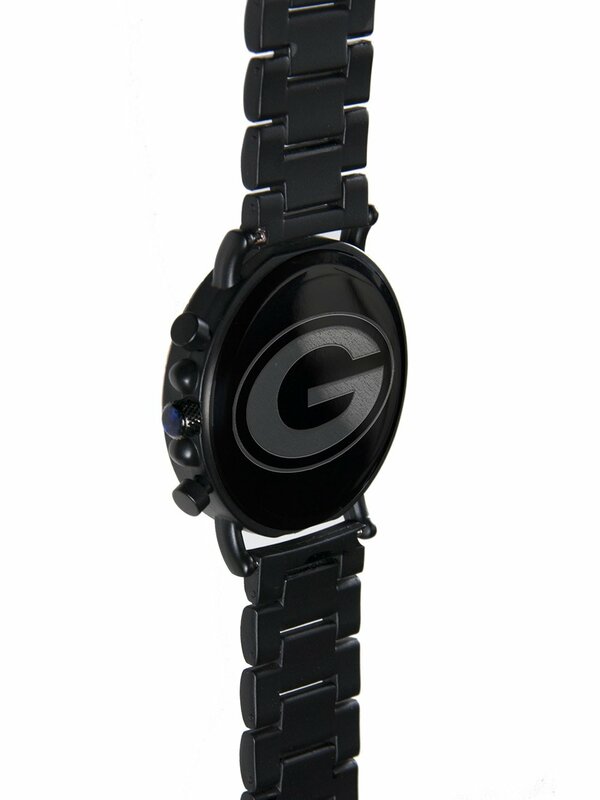 High caliber case with illuminated striking aluminum second/ stopwatch hand. 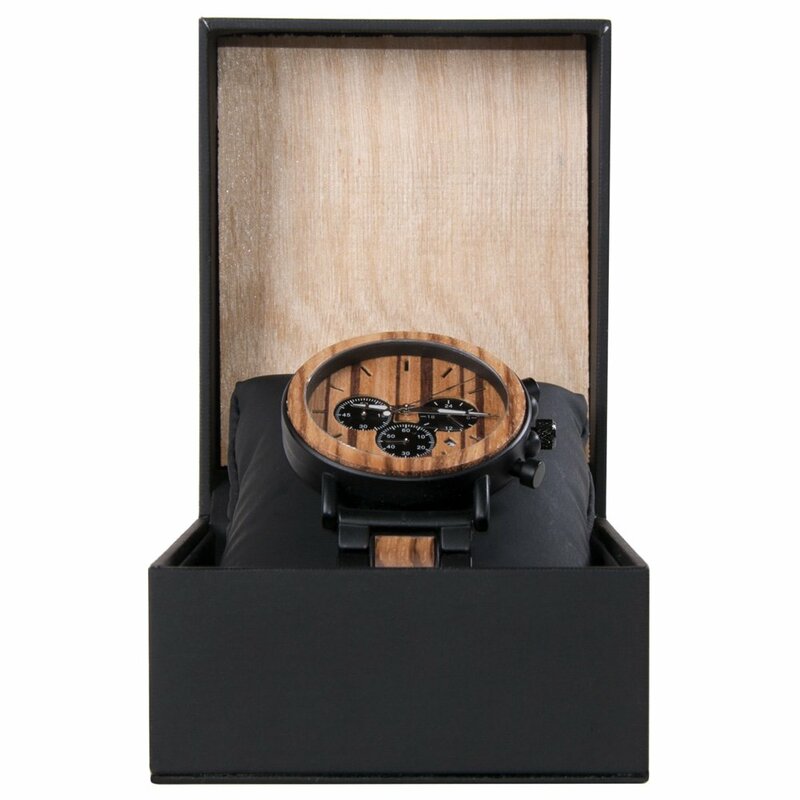 Rugged 6 hand design with 3 link titanium band with outer wood mold. 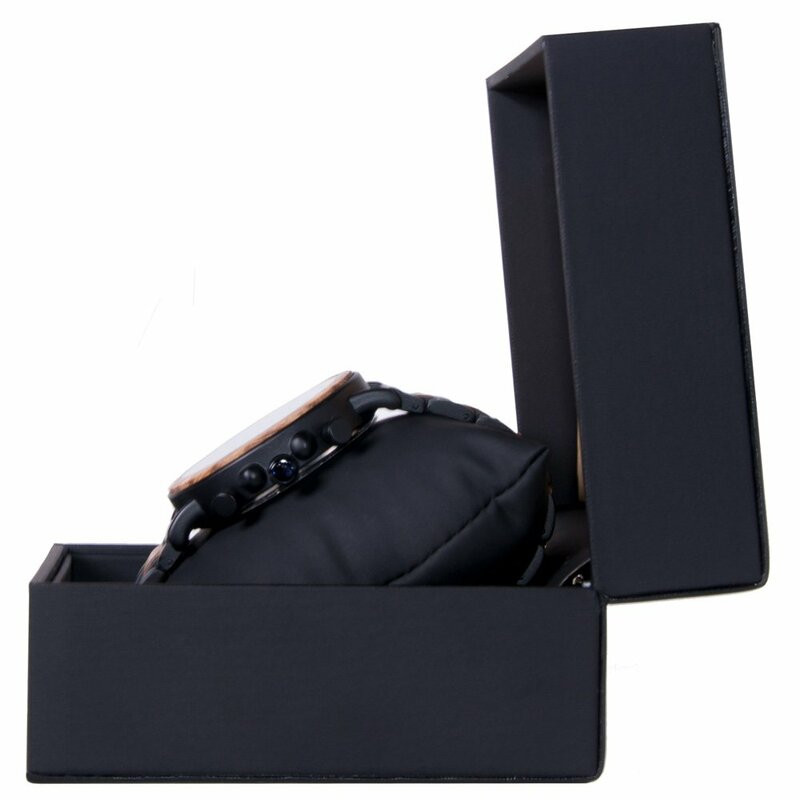 Double locking clasp strap that fastens around your wrist comfortably and fashionably. Design thats sophisticated for formal wear and comfortable and sleek for casual wear. 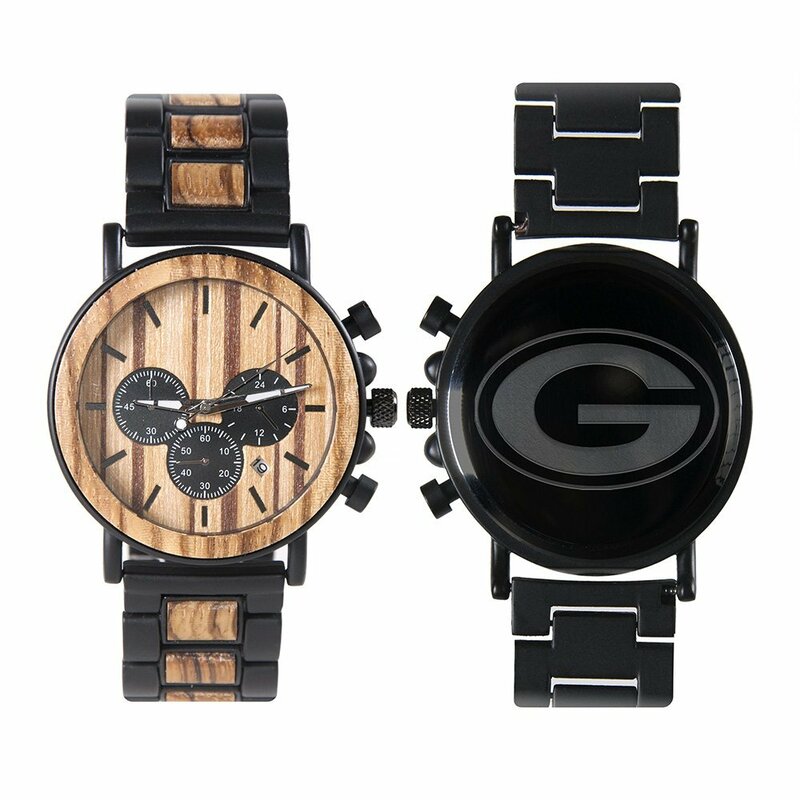 Wear it with a suit or with jeans and a t-shirt.